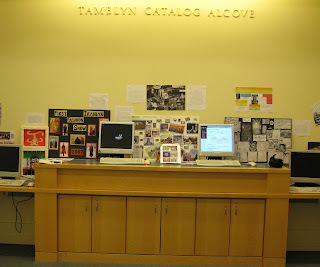 You might have noticed that the Tamblyn Catalog Alcove in the O’Grady Library is a little more chaotic than usual. 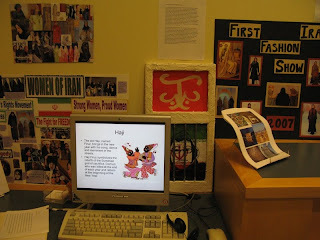 This is because we are continuing our participation in the September Project by using the alcove to display various aspects of Iranian culture. 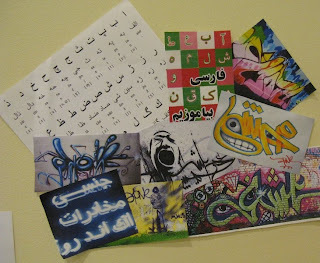 Most of the display has been created by students from the SMU Language and Culture class. But faculty have also contributed to the project. Prof. Lee Mohler created a poster about a famous Persian mathematician who gave us the cubic equation. As you head to the reference desk or the commons area, stop by and take a look at the collages, paintings and multimedia work. Put on the headphones and listen to samples of Iranian music, learn a little about Persian food, women, religions, sports, architecture, calligraphy, art, legends and ceremonies. These small projects work like pieces of a puzzle. Placed together, they paint a more complex image of Iranian culture than most of us encounter in our daily lives. 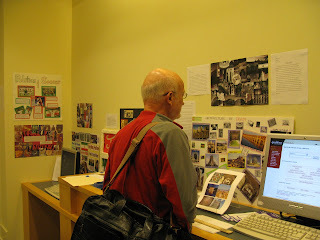 In addition to what you see on the walls, there are three computers in the alcove that are dedicated to this display. Each has several student projects that will rotate throughout the day. 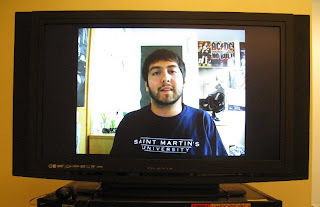 Or, if you can't make it to campus, you can view Lucas' project about Iranian music on YouTube.